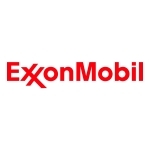 DALLAS--(BUSINESS WIRE)--Exxon Mobil Corporation (NYSE: XOM) announced today that shareholders elected Edward E. Whitacre, Jr. to its board of directors. Mr. Whitacre is chairman emeritus of AT&T Inc., where he was chairman and chief executive officer until his retirement in 2007. With Mr. Whitacre’s election, the ExxonMobil board stands at 11 directors, 10 of whom are non-employee directors. Mr. Whitacre was chairman and chief executive officer of SBC Communications until its 2005 acquisition of AT&T, when he took on the same roles at AT&T. He held a number of key leadership positions during his time at SBC Communications and Southwestern Bell Telephone Company, including group president, vice president of revenues and public affairs, vice chairman and chief financial officer, and president and chief operating officer. He became chairman and chief executive officer in 1990 and led SBC Communications on a disciplined growth strategy and through a series of industry changing mergers and acquisitions. Mr. Whitacre is a member of the Boy Scouts Advisory Council and a trustee for the Advisory Board of the San Antonio United Way group. He is on the board of the Institute for International Economics, is a member of the Business Council and serves on the boards of Anheuser-Busch Companies and Burlington Northern Santa Fe Corporation. Mr. Whitacre obtained his bachelor’s degree in industrial engineering at Texas Tech University in 1964.